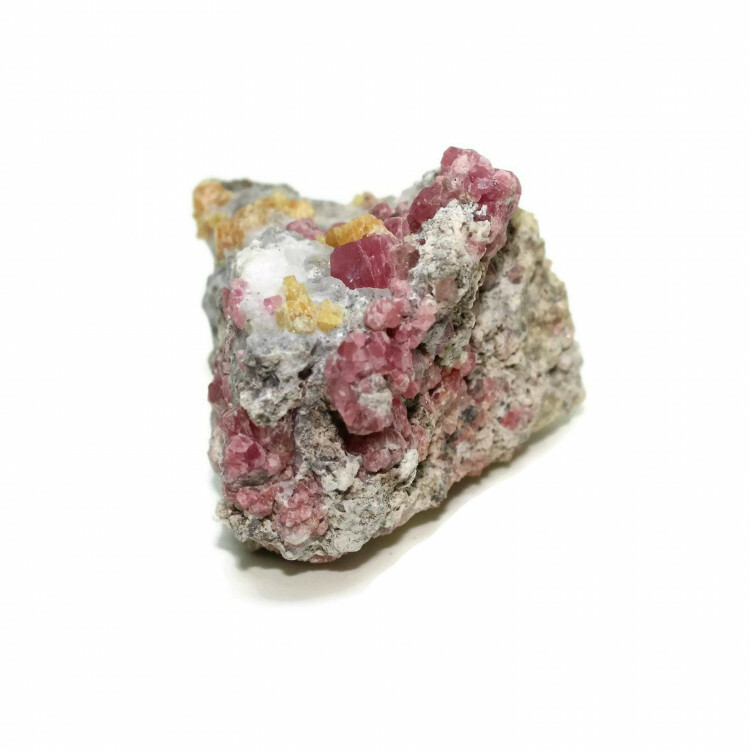 Nice pieces of Grossular Garnet on matrix, at an affordable price point. Lovely crystals of Grossular Garnet on matrix. These were originally sold as ‘Raspberry Garnet’. The matrix tends to be white/grey Calcite. These specimens sometimes have greeny yellow Vesuvianite crystals with them too. All of these specimens are from Sierra de Cruces, Coahuila, Mexico. They are typically quite good quality, especially for the price. 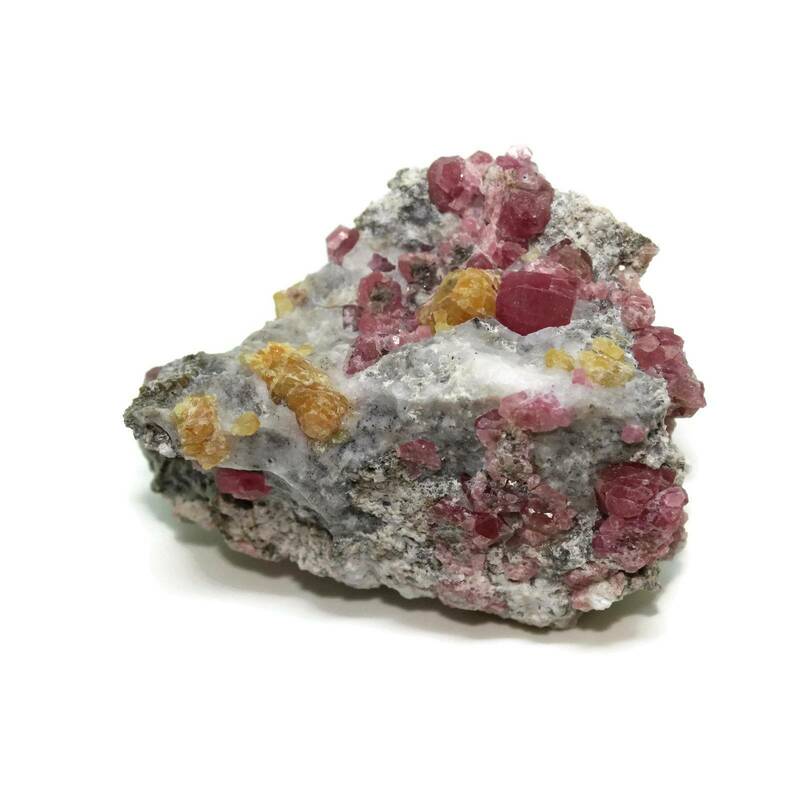 Each specimen generally has multiple Garnets on its matrix stone. Because these are natural pieces, we can’t guarantee that every single time of course. 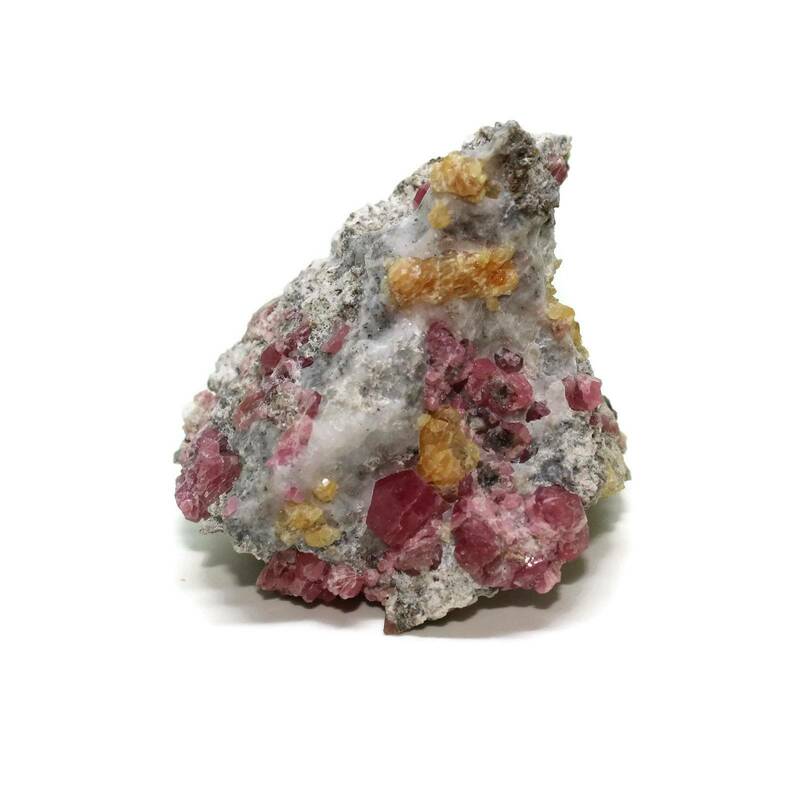 For more information about Garnets, and a full list of all of our related items, please see our main ‘Garnet’ section.